There are serious debates as to which 4A-GE to use on your car. Some say late 16V from a 89-90 AE92, others say the 4A-GZE, the 20V, etc... The truth is that all 4A-GE has characteristics that are of merit and there are many things to look at. The bottom line is that you should choose an engine that best fits your needs and budget. I've seen too many projects that ended up as too expensive, incomplete, or just not what were the original intent. So I've put together a small list of things pertaining to what one might want in the 4A-GE and some of the merits and demerits to the choice of the 4A-GE. The first edition 4A-GE, the ones that came in AW11 NA, AE86, AE92 (1988-89) can be distinguished primarily by the head design. It was the only version that utilized the TVIS system which opened and closed the secondary runners depending on driving conditions. Some refer to them as "blue hat" due to the blue lettering that were used on the valve covers. However, this designation isn't entirely accurate as early AE92 with TVIS had red letters as well as some other models that used this engine. These are frequently mistaken for the later generation engines which also used the "red hat" valve covers. These covers are also interchangeable so it's hardly a way to distinguish these motors that are worked on so much... The early 8-port TVIS engines are still in demand today for low budget tuning for those who enjoy reaching high rpms with the use of carburetors. Though the connecting rods journals and pins are smaller than the later models, the components are lighter than the latter motors and in stock form, tends to feel better at the top. The TVIS when operated properly (factory ECU or via external controllers) can add great deal of drivability in low and mid ranges of the rpm and is effective for using high profile cams and keeping it still streetable. It still is the heart and soul for many AE86 and AW11 owners, and is by no means a bad engine if engine feel is your pleasure. A nicely balanced and ported TVIS head can be had for cheaper than any other head with very good results for use on normally aspirated use. The second generation 4A-GE was introduced in the AE92 in 1989 to 1990 models. It featured a stronger internals via larger diameter pins at piston as rod as well as more re-enforced block assembly. The pistons featured higher compression rating giving slightly more torque and peak power output. This is the main reason most users swap this engine in place of the first generation 4A-GE. This engine also featured larger injector sizing with spray patterns differing with the first edition. TVIS was removed as compression rating was upped to give almost as much torque below as the TVIS model with lower compression. Still, many drivers will notice some decrease in response with this second model 4A-GE as internals were heavier and the absence of TVIS made low end performance sluggish to the feel especially when the peak power seemed to improve enough. The newly worked internals of the 2nd generation engines also served as the basis for a new type of 4A-GE, the 4A-GZE. The supercharged cousin of the 2nd generation 4A-GE produced a whopping 21kg/cm of torque at relatively low 4500rpm. 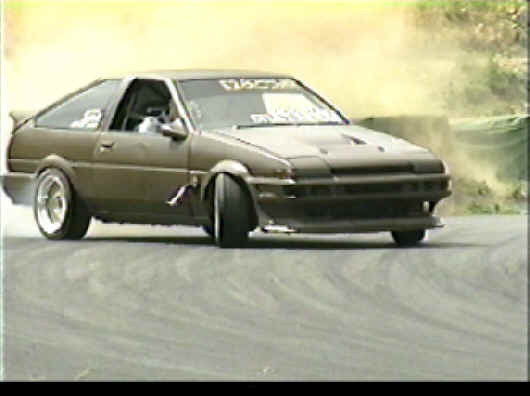 This engine was said to be designed to give the AW11 MR2 unprecedented power of 145ps JIS. And eventually, a slightly modified one was fitted to the AE92 also. In 1990, the 4A-GZE was reworked to 170hp rating due mainly to higher compression pistons (still much lower than an NA) from 8.0 to 8.9, and higher boost, via smaller supercharger pulley and newly designed electromagnetic clutch. This is another popular swap for normally aspirated cars wanting flexible street performance. 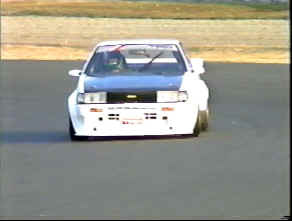 The biggest change in 4A-GE was made with the introduction of the AE101 Corolla. The new 4A-GE engine was designed to be normally aspirated only from the outset and as such featured exciting new parts as individual throttle and variable cam timing, the VVT. The main distinguishing feature of this new 4A-GE is the 5 valves per cylinder design. The use of a completely new head provided 4A-GE with power to almost compete with Honda's popular VTEC B16 engines. Aside from the obvious external peripherals, this 20 valve engine was delivered with slightly improved internals with semi-coated pistons and balanced rods. 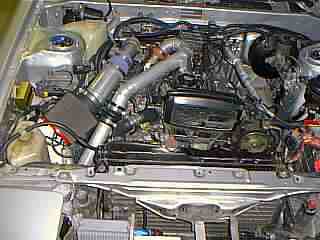 The AE111 in 1995 was equipped with yet another improved 4A-GE, the same 20V was tweaked for more power delivery and response. Internally, the the compression was again raised to 11.0 from 10.5 and rods, pistons were better balanced and much lighter. The throttle body was bored slightly and cam profiles and timing altered slightly. The first 20V engines had silver spark-plug covers and thus was coined "the silver-head" and latter "black-head" but again, the covers do interchange so it's not a reliable identification method. A good way is to take a look at the throttle body as later model engines sported a larger intake vanturi and more rounded intake tract. So that's roughly the different 4A-GE's in a series...more detailed information can be had in specification chart posted elsewhere in this site. Now here's a list of merits and demerits of each 4A-GE. Highest OEM overall torque output by far. OEM form an excellent upgrade for older car application. Currently limited modification parts available for heavy tune.